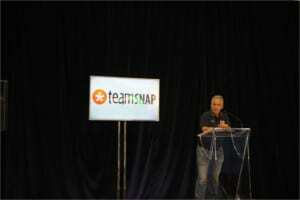 What an amazing weekend we just had hosting our inaugural TeamSnap Hockey Coaches Conference in Toronto. The venue, Mattamy Athletic Centre (formally Maple Leaf Gardens) was such a cool setting for the event. They’ve done an unbelievable job of retaining the history of the original Gardens and you could feel the ghosts of hockey’s greats in attendance. There were a bunch of highlights from the weekend and we wanted to share a few of them with you (below). We’re so excited to do it all over again this weekend at our annual conference in Vancouver – July 22-23 at Fortius Sport & Health. Our first keynote of the event was a great presentation from Willie Desjardins of the Vancouver Canucks, speaking on Building the Foundation for a Winning Team Culture. In his talk Willie used different videos he has shown his team to inspire teamwork and help his players support each other. 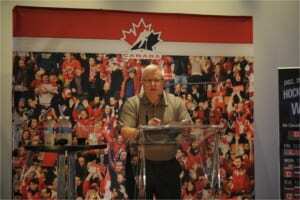 Bob McKenzie (THE Hockey Insider) capped off the first day of the conference at our annual charity reception for HEROS. If you couldn’t guess, Bob is a heck of story teller and told some great stories of following his boys through minor hockey in the coaching trenches. Plus Bob had a special surprise for our delegates…stay tuned!! 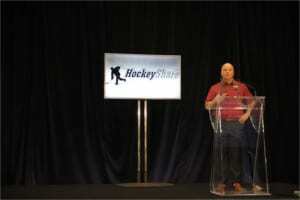 We had some great technical presentations this year but the one that stood out to us was University of Denver’s Jim Montgomery’s talk on Playing a Puck Possession Game. Coach Montgomery’s slides included some great detail on puck protection and how to teach your players to manage the puck as a team. 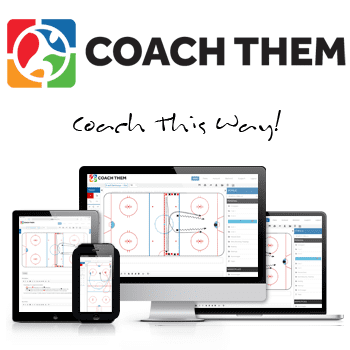 In our analytical age, puck possession is KEY! Dallas Eakins had one instruction before his one on one interview with our MC Ryan Pinder (Fan 590 Calgary) to close out the conference – “Ask me anything you want. Nothing is off limits.” Dallas provided great commentary on his rise through the coaching ranks and tenure in Edmonton as the head coach of the Oilers, as well as how he’s embraced being back in the AHL. 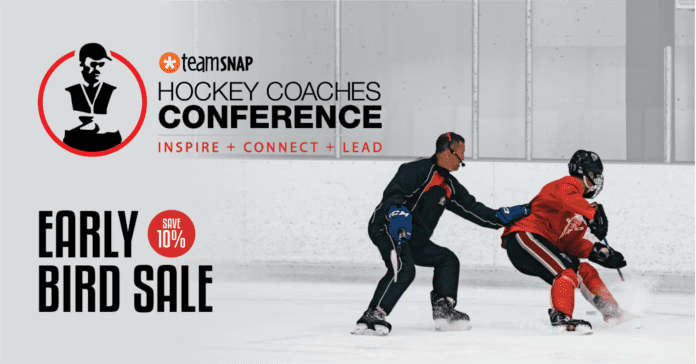 It’s not too late to register for our upcoming TeamSnap Hockey Coaches Conference in Vancouver, July 22-23 at Fortius Sport & Health. 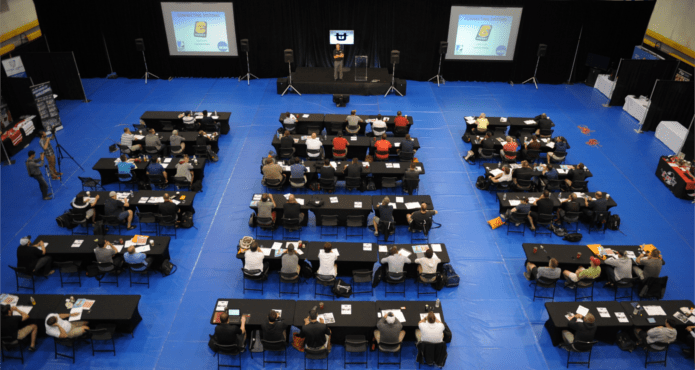 Don’t miss out on another great lineup of speakers including Bill Peters (Carolina Hurricanes), Jim Playfair (Arizona Coyotes), Perry Pearn (Vancouver Canucks), Travis Green (Utica Comets)….and many more! 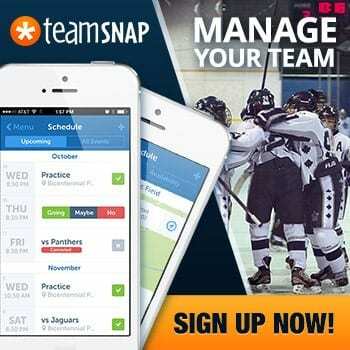 The Coaches Site an online resource for hockey coaches and hosts of the TeamSnap Hockey Coaches Conference.